Due to the high load and significant impact placed through the knee, in conjunction with the twisting mechanisms involved in various sports and activities, it is unfortunately one of the most commonly injured joints in the body. Here are five frequent injuries that occur at the knee joint and how they are managed by physiotherapists. The knee relies on four main ligaments for its stability – two cruciate and two collateral ligaments. The Anterior Cruciate Ligament (ACL) and the Posterior Cruciate Ligament (PCL) are the main stabilisers of the knee joint. The ACL and PCL are structures frequently injured in sports, such as football and netball, where players often change direction rapidly or land awkwardly, twisting the knee. 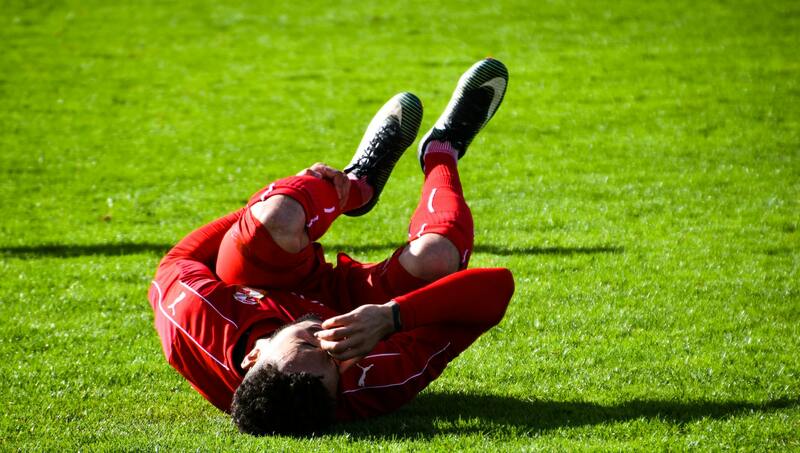 PCL injuries can also occur when a significant force is applied to the front of a bent knee, e.g., in motor vehicle accidents or in a rugby tackle. ACL injuries are particularly devastating, since approximately half occur with additional damage to other surrounding structures (including the PCL, collateral ligaments and meniscus). While some cruciate ligament tears can heal on their own, most require surgical repair. Some people can function without an ACL; however, this leaves the joint with limited stability, which most athletes require for changing direction and accelerating/decelerating. Some patients find that by strengthening the quadriceps and hamstring muscles they can achieve enough stability through muscle strength, but generally this is insufficient for athletes. Often ACLs are repaired surgically in a procedure commonly known as a knee reconstruction, where either the hamstring tendon or patella tendon is used to create a ‘new’ ACL. While elite professional athletes may quickly opt for surgery, it is generally recommended to wait six to eight weeks post-injury to re-assess healing and determine if surgery is required. Correct rehabilitation after an ACL reconstruction is vital and should focus on swelling management, range of movement, strengthening and then balance training and proprioception. The quality of rehabilitation and the patient’s compliance has a large impact on the effectiveness of surgical outcome. While every case is different, patients can expect to be able to return to running at approximately four months post-operatively and higher level skills such as jumping and weaving somewhere between six to twelve months after knee reconstruction. The Medial Collateral Ligament (MCL) and Lateral Collateral Ligament (LCL) are on the inside and outside of the knee joint, respectively. Collateral ligament tears occur when force is placed on the knee causing it bend inward or outwards. If the applied force exceeds the range of the ligament, then it will result in a sprain or a tear. MCL and LCL injuries are usually less serious than cruciate problems. Ruptures of these ligaments may still require surgery, but the more common sprains typically resolve in between 3-8 weeks, depending on severity. 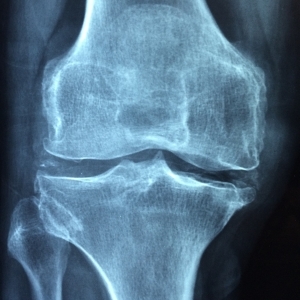 Like any joint, the knee can be afflicted by osteoarthritis. Unfortunately, arthritis is particular common in the knee due to the wear and tear associated with weight bearing and high impact activities. As the joint ages, cartilage wears away, leaving less cushioning between the bony surfaces of the femur and tibia. This causes friction with movement and subsequent pain and stiffness. Treatment for osteoarthritis should focus on exercises to regain range of movement (and prevent worsening of stiffness), as well as muscle strengthening to take the load off the joint. Activities such as walking, use of an elliptical machine, swimming, aquatic fitness/water running and cycling are useful as they are low impact, but still provide strengthening. The added benefit from walking and the elliptical machines is that despite being low impact they still require weight bearing, which helps to encourage bone strengthening. One of the most important factors in the management of osteoarthritis is maintaining a healthy weight. The more weight that is placed through a joint the harder it must work, which may lead to further degeneration, pain and loss of function. It can be challenging to establish an exercise routine for those suffering from arthritic knees, since they often find exercising painful which leads to lower activity levels and weight gain. Glucosamine is a popular supplement taken for the relief of arthritic pain. It is thought to work by slowing down the degeneration of cartilage. While some studies have shown a decrease in pain, most show no difference between those taking glucosamine and those taking a placebo. 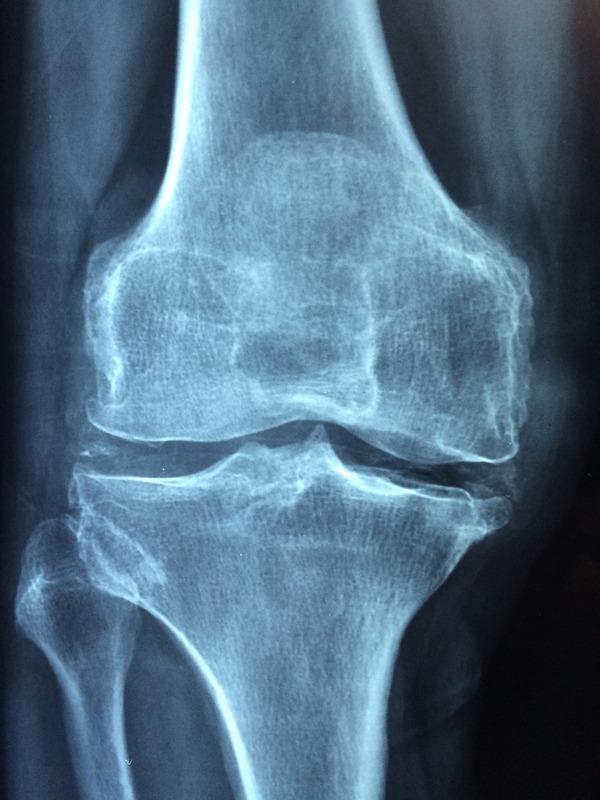 If arthritis becomes severe and limits function significantly then a total knee replacement may be considered. You can read more about knee and joint replacements here. A biomechanical dysfunction caused by poor alignment, where the patella connects with the femur, patellofemoral pain syndrome (PFPS) is most common in sports that consist of running, jumping (and landing) and squatting. The Iliotibial Band, which runs down the outside of the thigh, inserts onto the patella. If tight it can pull the patella in a lateral direction, which alters the alignment of the knee. Weak glute muscles can have an effect by letting the thigh rotate inwards again allowing lateral pull on the patella. Treatment requires manual therapy, ITB stretching and release, soft tissue work, gliding the patella and taping as well as strengthening. The Vastus Medialis Oblique (VMO), which is one of the four quadriceps muscles, especially needs to be strengthened to improve the positioning of the knee cap. You can read more about Patellofemoral Pain Syndrome here. There are 11 fluid filled sacs, known as bursae, within each knee joint. They contain synovial fluid and their role is to reduce friction, allowing muscles and tendons to slide over bony structures. The largest ones are the infrapatellar bursa (below the knee cap), suprapatellar bursa (above the knee cap) and pre-patella bursa (in front of the knee cap). If aggravated, a bursa can become inflamed, swollen and incredibly painful. When the knee moves, it then continues to aggravate the swollen bursa, it is very hard to relieve the inflammation as it is constantly irritated during normal daily activities. Bursitis can occur due to direct trauma to the knee, causing swelling and is very common in occupations that require a lot of kneeling, e.g. plumbing, gardening – and even in those who partake in regular praying. It can also occur due to repetitive jumping and is therefore common among athletes. Symptoms of bursitis include swelling, usually either above or below the knee cap, localised to a pocket instead of within the knee joint, pain (especially with bending, squatting and kneeling), redness, warmth and restricted movement. To treat bursitis the priority should be anti-inflammatory measures e.g. ice, medication and rest, especially avoiding any aggravating activities such as kneeling and squatting. Specific taping techniques can be effective at offloading the affected area. Down the track, assessment of the patient’s jumping, running, kneeling or squatting technique as well as any corrections can help to prevent a recurrence. If symptoms persist or if the bursa becomes infected it may require glucocorticoid steroid injection mixed with anaesthetic, aspiration of the fluid or antibiotics to treat the infection. In severe cases, surgical removal of the bursa may be required, however there are obviously risks associated with this and the downside of no longer having a bursa for friction reduction in the area. A meniscus is a shock absorbing cushion of cartilage which sits inside the knee. There is one meniscus on each side of the joint and they create a buffer between the thing bone and the shin bones. These can tear easily with degeneration due to wear or be injured traumatically during a twisting mechanism. Meniscus injuries usually present with pain on knee flexion and swelling in the joint. Another symptom of a meniscus injury is ‘locking’, where the knee gets stuck in certain positions. Treatment revolves around management of pain and inflammation, ensuring full range of movement, and strengthening of the quadriceps muscles to increase stability and to reduce the load through the meniscus. Often meniscus injuries occur in conjunction with other structures. Blood supply to the meniscus is limited to the outside edges which means tears to the inner fibres may not heal naturally. They can take six to eight weeks to heal and if this doesn’t happen naturally they can be repaired through arthroscopic surgery. 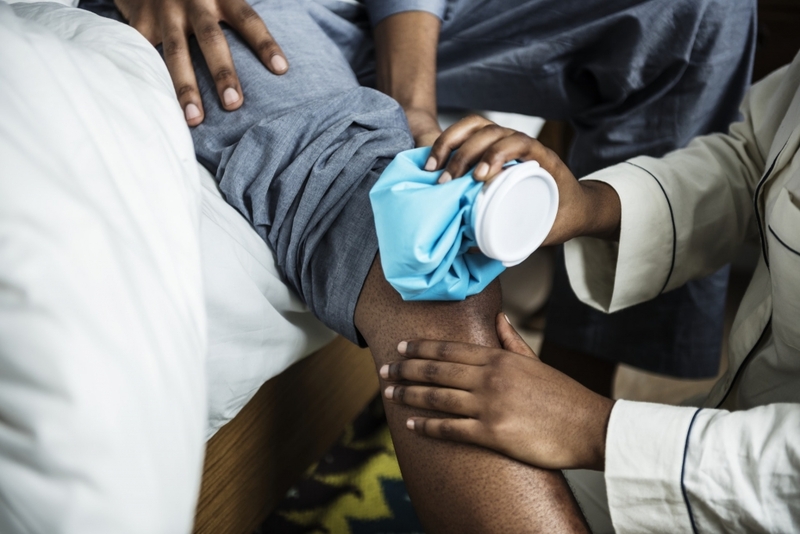 As with any other injury, the first priority is to manage any pain and inflammation by using rest, ice, anti-inflammatories, elevation to treat any swelling, and potentially compression with tubi-grip or a knee sleeve. Due to the pockets within the knee joint, swelling can sometimes be quite stubborn and take some time to resolve. Gentle movement can encourage the fluid to shift. Once inflammation has been alleviated, range of movement exercises can be progressed to try to recapture the full amount of movement which is usually available in the knee joint. Passive stretching and joint mobilisation techniques may be required to achieve this. Strengthening of the muscles around the knee joint is an important part of any rehab program. The quadriceps and hamstrings should be targeted, but consideration should also be given to the glutes and core muscles as they play a large part in control of the knee joint. Having adequate control results in your body being able to stabilise the leg during activities such as running and landing without it rolling in or out. Looking specifically at the four quadriceps muscles, coordination and balance are considered crucial. Often in knee pain the innermost part of the quadriceps (Vastus Medialis) can be underactive with the outer part (Vastus Lateralis) being dominant, which affects knee control and alignment. Rehabilitation should focus on strengthening the Vastus Medialis and ensuring that it is ‘swicthed on’ automatically during movement. Most strengthening is done in a concentric manner, which is where the muscle is shortening as it’s working, e.g. in a squat movement or performing a step up. However, eccentric strengthening is also important to consider for knee control, where the muscles is under tension while it is lengthening; this can be achieved, for example, by doing a controlled step down off a step or box. If the knee joint is unstable and the muscles aren’t yet strong enough to provide adequate support, it is common for strapping tape to be used to provide the required stability. Tape is applied to mimic the ligaments, and should only be a temporary measure to provide support during sporting matches or activities. Tape isn’t a permanent fix and the muscles need to be strengthened so they can start providing the support needed. Kinesio taping is another method which can be used to treat knee pain. It is not as restrictive as traditional sports tape and can also help reduce swelling. Some claim it can help to activate or inhibit certain muscles depending on how it’s applied; however, studies are yet to prove any change in muscle activation. It’s not only the knee that needs to be considered, but adjacent joints as well. Knee pain can originate from the feet, hips, pelvis and lower back. A qualified physiotherapist should undertake a full posture analysis as well as observing gait and making recommendations on adequate footwear. An arthroscopy refers to ‘key hole’ surgery where a camera is inserted into the joint to assess damage and perform repairs, if required. The patient may need to be non-weight bearing for several weeks post-operatively to allow for healing. A total knee replacement is a more invasive procedure where the knee joint is replaced. Typically, the entire joint is replaced, however, recently, some patients have chosen to have a unilateral knee replacement where only one side of their knee joint is replaced. It may be advisable to undergo the procedure before the degeneration becomes so severe that compensatory movements develop, e.g., the other knee takes more of the load resulting in more wear and tear on that side as well. However, the decision needs to weigh up several factors, so talk to your physio and specialist! In this procedure, the knee joint is maneuvered forcefully while the patient is under anaesthesia to break through any stiffness, scar tissue and adhesions. This is usually a secondary procedure employed when recovery from an earlier operation has been poor. So there you have it, our guide to some of the most common knee problems out there. As always, it’s always best to seek out expert advice. If you have a knee problem, a physiotherapist will be able to assess your pain to determine the source and advise you on the best course of treatment. (1) Serrão, J. C., Mezêncio, B., Claudino, J. G., Soncin, R., Miyashiro, P. L., Sousa, E. P., Borges, E., Zanetti, V., Phillip, I., Mochizuki, L., … Amadio, A. C. (2016). Effect of 3 Different Applications of Kinesio Taping Denko on Electromyographic Activity: Inhibition or Facilitation of the Quadriceps of Males During Squat Exercise. Journal of sports science & medicine, 15(3), 403-409.